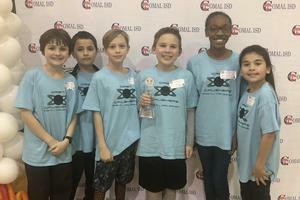 First Lego League teams representing every elementary Comal ISD campus put their hard work to the test Saturday during a district-wide tournament. 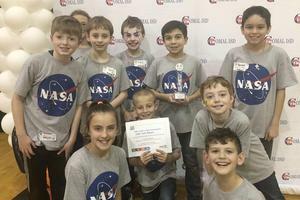 Robots, projects and core values were judged based on this year's "Into Orbit" theme. Currently, every Comal ISD elementary campus has an official First Lego League team with several campuses boasting more than one. 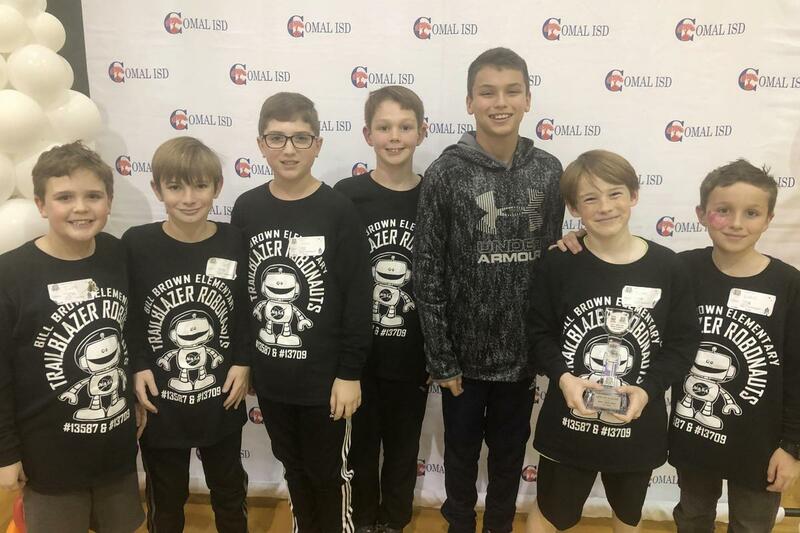 On Saturday, 32 of these teams competed in the Comal ISD First Lego League Tournament at Canyon Lake High School. The Gadgets & Gizmos team from Hoffmann Lane Elementary took home the Champion’s first place title with the Space Pros from Specht Elementary in second and MVES #Hawks from Mountain Valley Elementary in third. 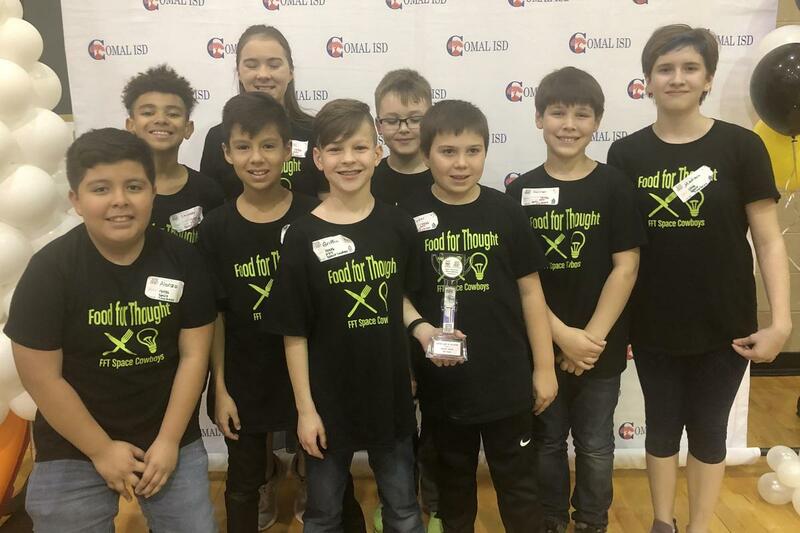 All three teams now advance to the Alamo Area – Curiosity Division Championship Saturday, March 23, at McCollum High School in San Antonio. This year’s theme is Into Orbit, challenging teams to choose and solve a real-world problem of space exploration, which is why the team names are out of this world. 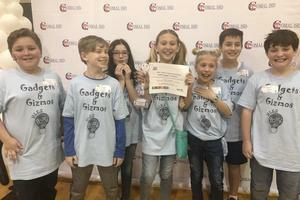 In addition to the top three teams which advance, the following six teams also made the A.C.E. 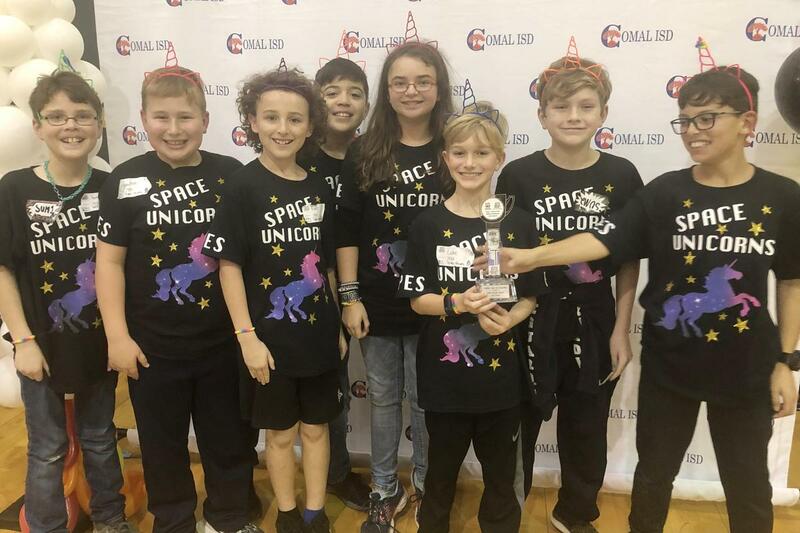 list (Advancement to the Championship Event): the Freiheit Elementary Space Nuggets, the Kinder Ranch Elementary FFT (Food for Thought) Space Cowboys, the Bill Brown Elementary Trailblazer Robonauts Yoda Team, the Timberwood Park Elementary Space Unicorns, the Garden Ridge Elementary Orbit Crushers and the BBES Trailblazer Robonauts Chewie Team. 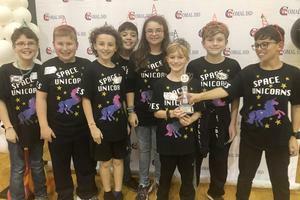 FIRST (For Inspiration & Recognition of Science & Technology) and the LEGO Group joined forces in 1998 to form the FIRST LEGO League in order to engage young students in science and technology. 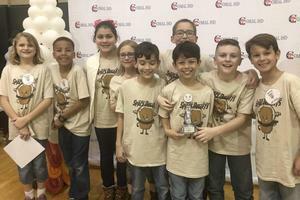 Today, more than 320,000 students participate in 98 countries in four programs divided into age groups: First Lego League Junior for kinder through fourth grades, First Lego League for fourth through eighth grades, First Tech Challenge for seventh through 12th grades and First Robotics Competition for ninth through 12th grades. 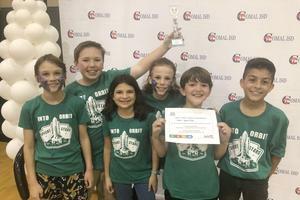 Every year, the challenge includes three parts: the Robot game, the Project and the Core Values. 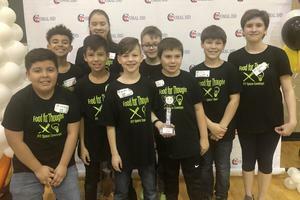 Teams of up to 10 students along with at least two adult coaches participate in the competition by programming an autonomous robot to score points on a themed playing field for the Robot game, develop a solution to a problem which they have identified for the Project while using the First Core Values of discovery, innovation, impact, inclusion, teamwork and fun. Photo #1: The Gadgets & Gizmos team from Hoffmann Lane Elementary took home the top prize at Comal ISD's First Lego League Tournament on Saturday. 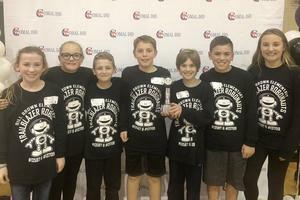 Team members include Orion Kaufman, Wyatt Roberts, Rylan Frech, Callie Lucas, Kirra Snider, Riley Cloe and Preston Escamilla. Photo #2: the Space Pros from Specht Elementary came in second place at the tournament. 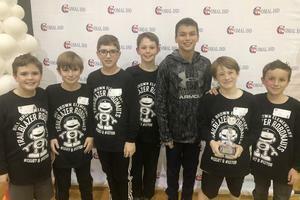 Photo #3: The MVES #Hawks from Mountain Valley Elementary came in third.